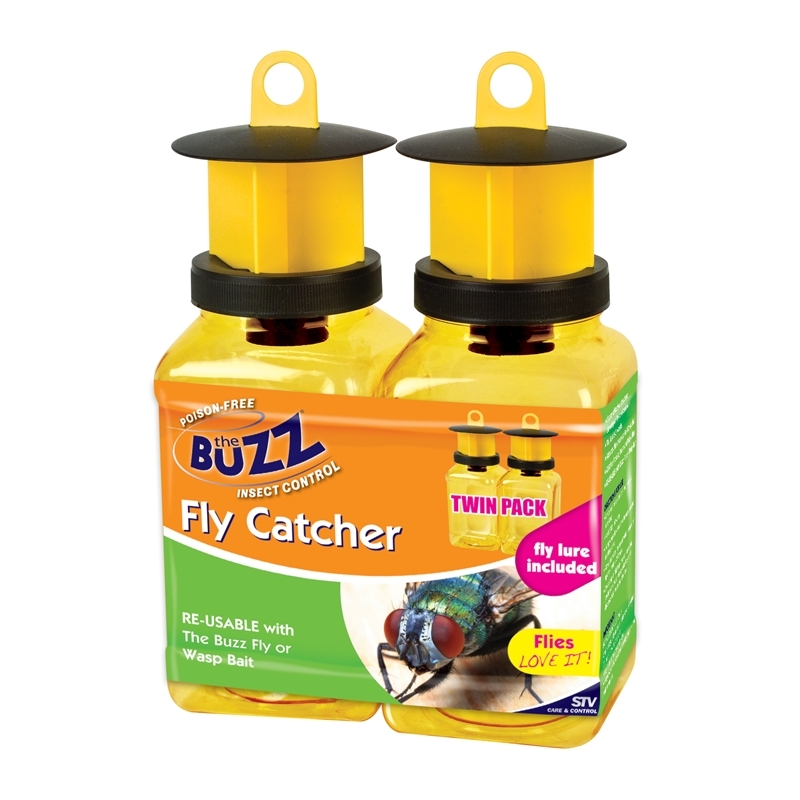 The twin pack Fly Catchers are an easy to use and highly effective product for the control of flies and wasps. 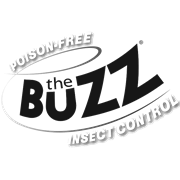 Simply unscrew the lid, add fly attractant, fill with water, reapply the lid and hang. 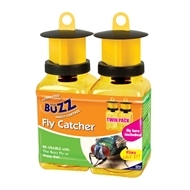 Fly Catchers can attract flies from a 10m radius and are a mess free option that works for 2-3 weeks before needing a refill.